While visiting a team recently, the swimmers hit us up with many questions. One of the questions was about managing nerves at the big meets. While there are many ideas on how to deal with nerves, and many will be athlete dependent, when put on the spot, my answer was simple. To be confident on the blocks at your Championship meet, you need to have put in the preparation. When you look at an overall season, we spend an incredible amount of training time getting ready for a very short competition. Rather than write extensively, just use rational thought. 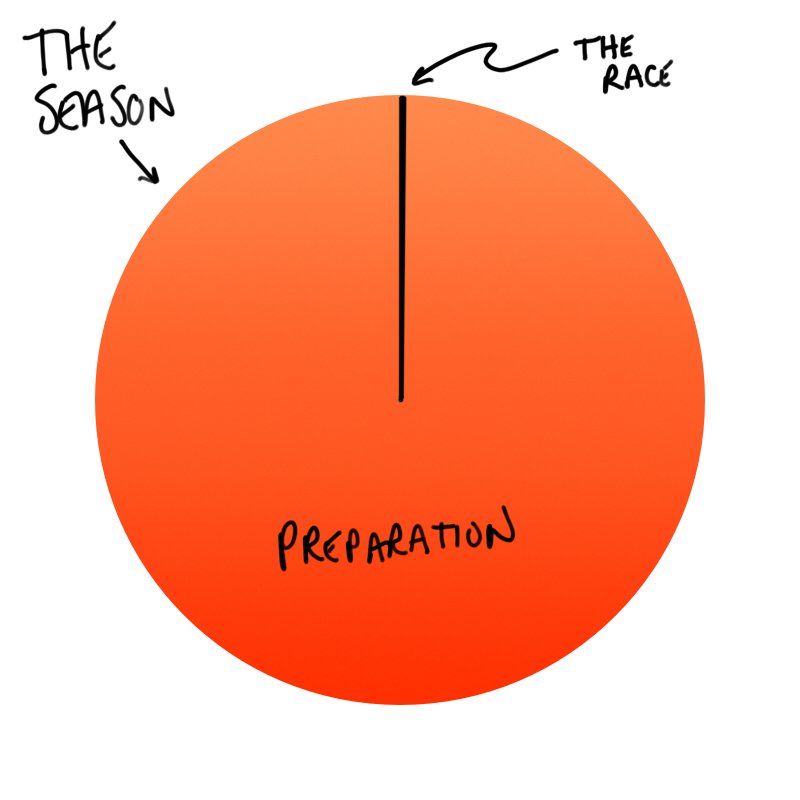 What percentage of your entire season is the actual race? If your focus switches from thinking about THE RACE all of the time, and take joy in THE PREPARATION… the race will take care of itself.